Pistols were sometimes used in the 18th century as an extra weapon. 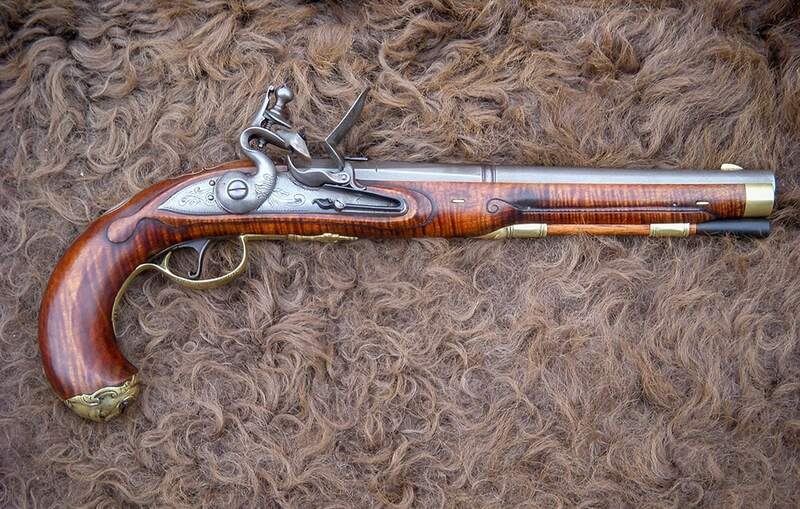 Their primary use was with the military on horseback. 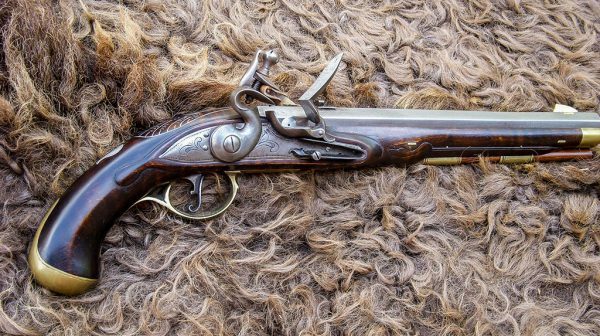 Pistols were popular in cities as in today’s culture for concealed protection from thieves. Unlike the long and bulky military issue pistols, civilians used a much smaller version. 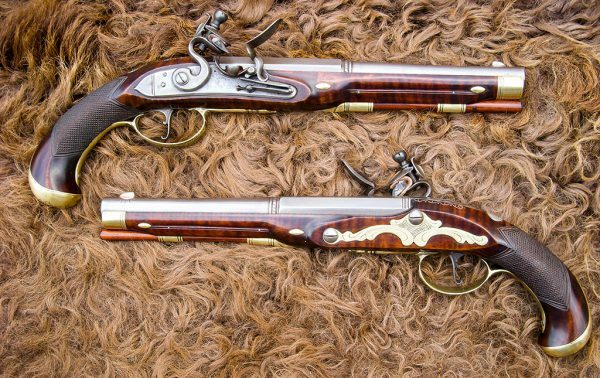 These smaller pistols could be easily carried in a haversack or a coat pocket for a fast, close-range shot. 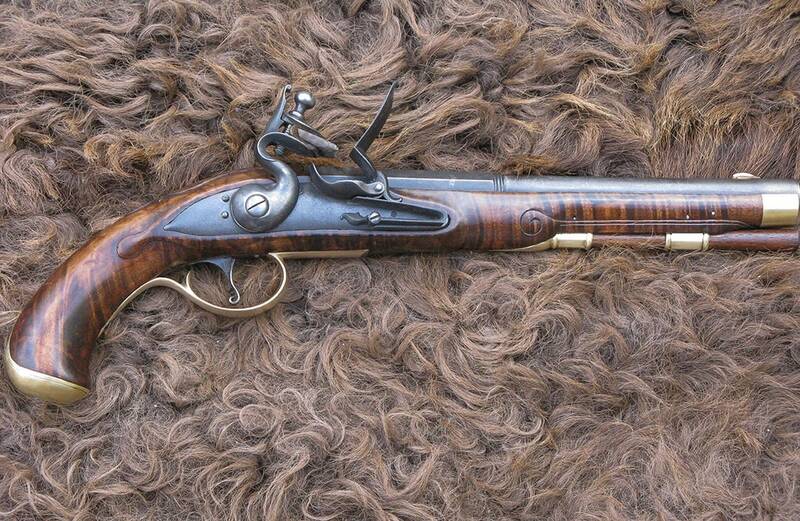 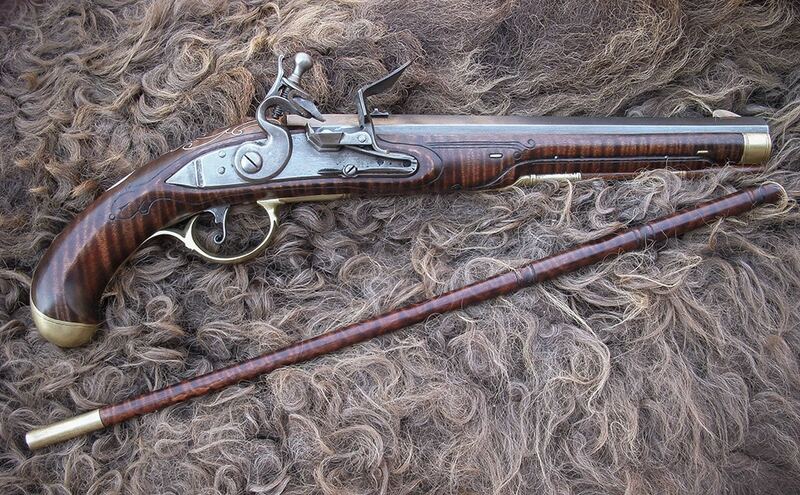 Bucks County, Pennsylvania 1790-1800 This Bucks County-style pistol is patterned after the work of John Shuler and Andrew Verner.